The ninth season of Top Chef is taking place in Texas. Bravo has released the names of 29 possible contestants. 16 of those 29 go on to compete on the popular Bravo reality show. Four of those 29 "hopefuls" are from Seattle! The four Seattle hopefuls are: Simon Pantet of Capitol Hill's 22; Colin Patterson of Wallingford's Sutra; Nina Vicente of Belltown's Spur Gastropub; and Ashley Villaluz, who is listed as a Sous Chef in Seattle. 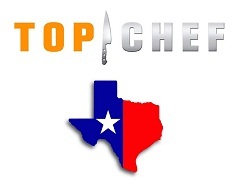 Top Chef: Texas premieres November 2nd. The entire list of all 29 hopefuls can be found at Eater National. I'm a huge fan of Top Chef and I wish all the Seattle hopefuls the best of luck!